Queen Letizia of Spain is celebrating her 46th birthday tomorrow. Before a quiet birthday on Saturday, Queen today finished her week of royal duties with two audiences at the Royal Palace. 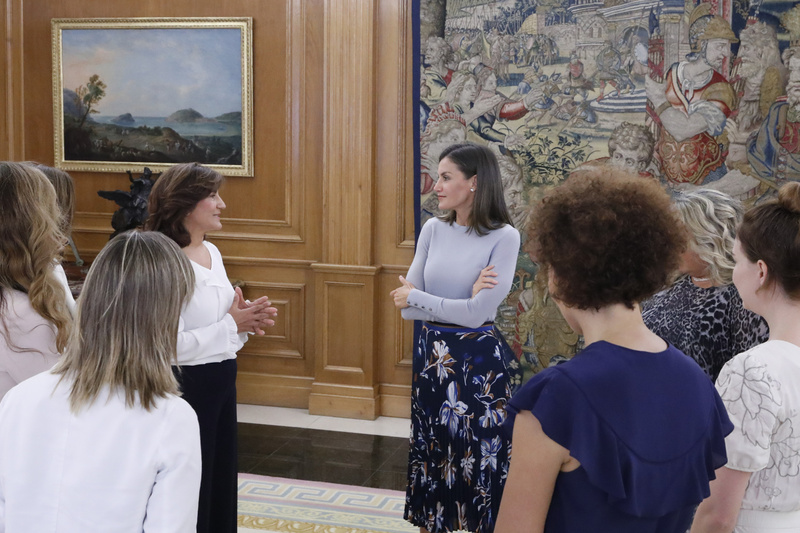 In the morning, the Queen has received in audience a representation of “Professional Women’s Network Madrid”, a non-profit association that promotes gender equality through the professional development of women and the encouragement of an active networking with the institutional environment and business. 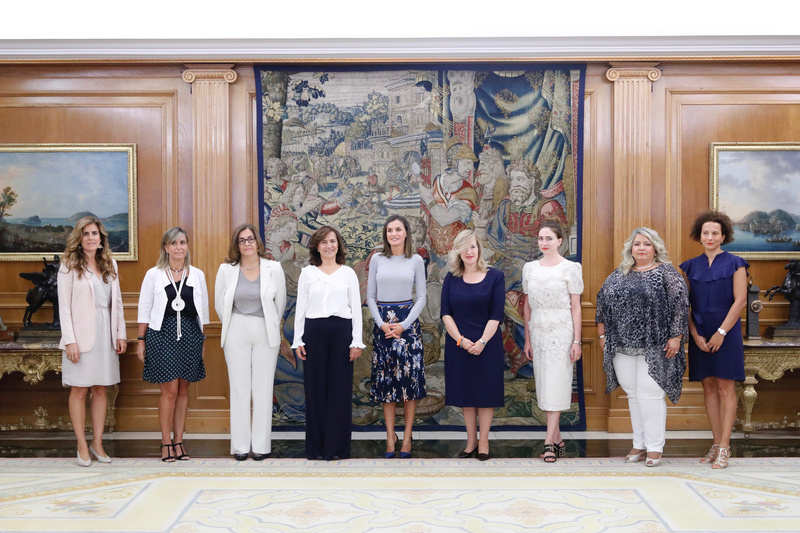 PWN Madrid is a non-profit organization that aims to accelerate the pace of change around the gender balance to adapt it to the current social reality and business demand. To do this, it focuses its activity on promoting professional careers, leadership and female entrepreneurship through active training, mentoring, networking and sponsoring programs. 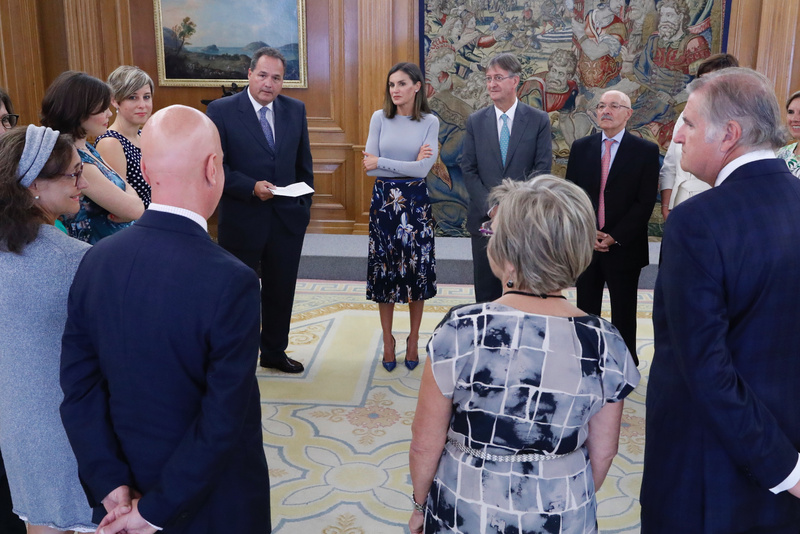 Later in the day Queen received a representation of the Children’s University Hospital “Niño Jesús”, on the occasion of its 50th anniversary. The Niño Jesús University Children’s Hospital is a pioneer in the pediatric specialty in Spain and since its foundation, in 1977, it is a pediatric health center of reference nationwide. 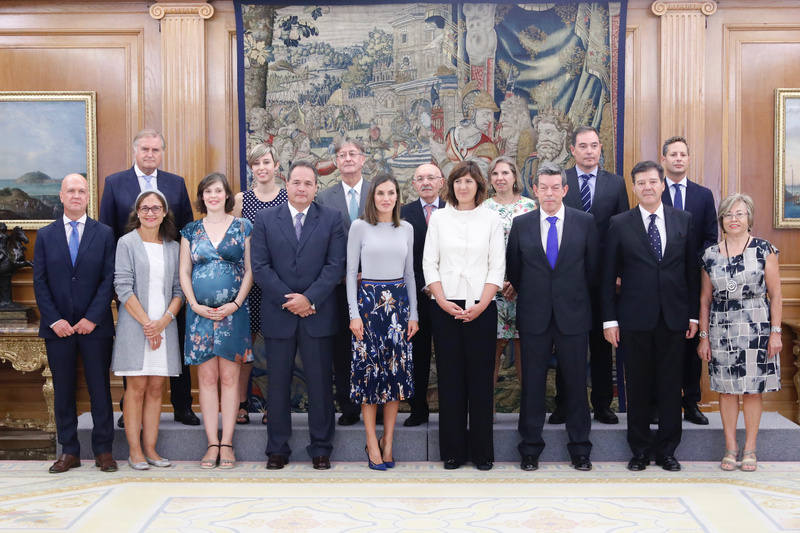 The scientific and research work has been reinforced in the last two years thanks to the start-up of the Foundation for Biomedical Research of the Niño Jesús University Children’s Hospital for Biomedical Research. It is currently one of the most ambitious projects facing the Hospital. For the day at Palace, Queen chose to recycle one of the her most chic and stylish looks. 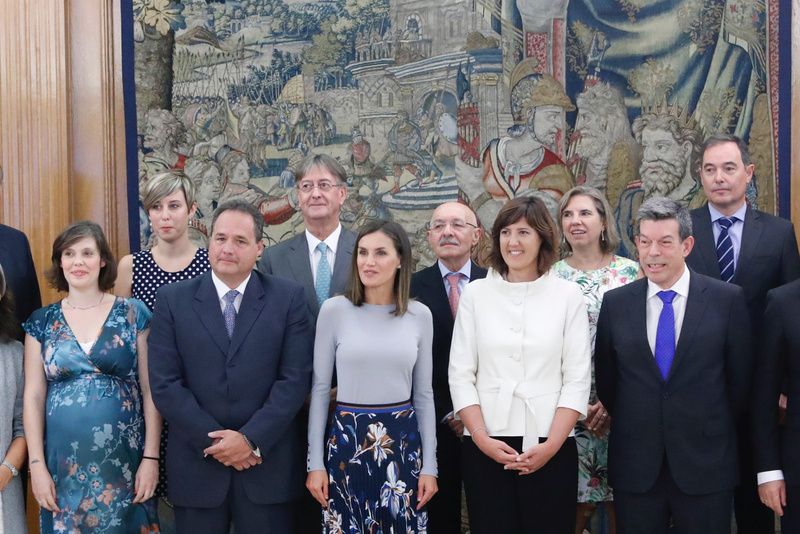 She brought back the look she wore in April this year at “la Caixa” scholarship granted by the “la Caixa” Banking Foundations. 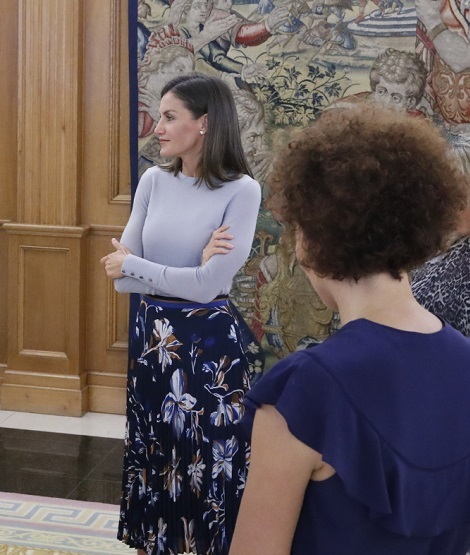 She wore BOSS Viplisa Print Skirt that she debuted in November 2017 when she and King Felipe offered lunch to Palestine President at the Palace. 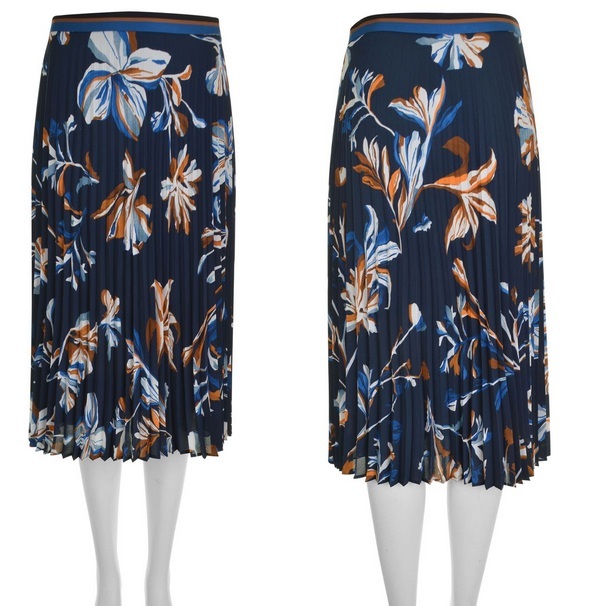 She paired the skirt with BOSS ‘Frankie’ cuff detail sweater that she premiered in April 2018 at “la Caixa” scholarship granted by the “la Caixa” Banking Foundations. 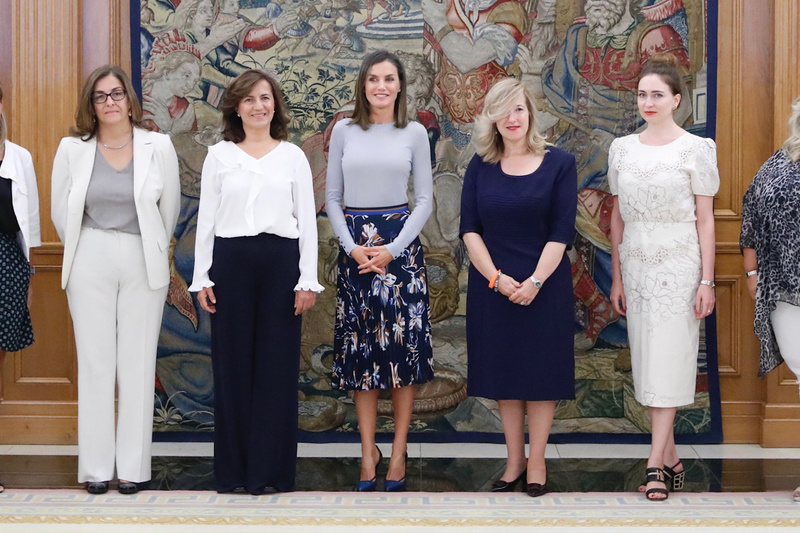 She paired the outfit with bespoke animal printed python Pumps from Magrit that she premiered in April this year when she welcomed Portuguese President. 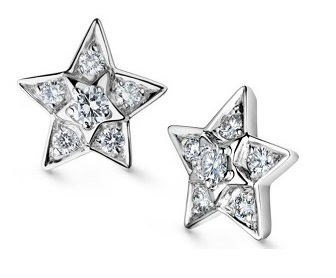 Her trustee Chanel Comete earrings finished her simple and stylish look.